Cutter, Steve Phythian, works alongside Directors Paul Munday & Brian Lewis and when not tailoring manages our Instagram account. Hailing from the Leytonstone, East London, Steve moved to Chelmsford early in his life where he lives today. 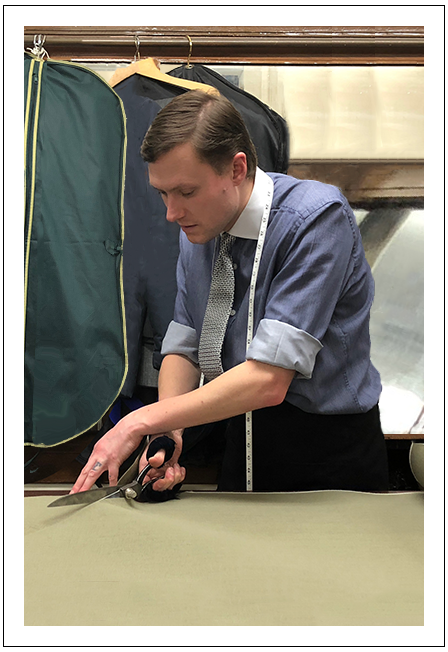 He comes from a long line of tailors; he is himself fourth generation, so with so much exposure to tailoring it is difficult for him to pinpoint when an interest in all things bespoke developed. Steve is Meyer & Mortimer's oracle on horror films and any meal that includes bacon. For more information on Steve, please visit his Q&A here.